3 years or so back, I wrote a tool to compare anti-aliasing methods. It was designed to accompany my Beyond3D article on the topic. It’s based on raw OpenGL code, which means that it’s hard to extend, and somewhat likely to break on driver updates. For the same reason, it’s slightly more difficult to ship without dependencies. It doesn’t offer any temporal anti-aliasing technology, which is currently where much of the most interesting research is happening. Its user interface is terrible, and it doesn’t guide people in any way in terms of interpreting what they see. To solve these issues, I implemented a very similar tool in Unity. It features a whole lot of information about the various AA types it supports in tool-tips, and also includes the currently-in-development Unity temporal anti aliasing. If anyone is interested in the sources I can release them, it’s pretty basic and mostly boring UI stuff. So now that should be pretty much perfect. I’m really liking the game itself so if you are into old-school, combat heavy dungeon crawlers do give it a try. As always, you can get the update from within GeDoSaTo, or from here if you don’t have it yet. Because my body was complaining a bit after 2 days of room-scale madness, I decided to test the “seated” experience in the Vive today. We all know that room-scale with tracked controllers is a transformative experience by now, but there are still plenty of games best played seated. To be honest, I expected it to be quite comparable to the seated experience in CV1, though a bit worse overall. The reality is not that straightforward. 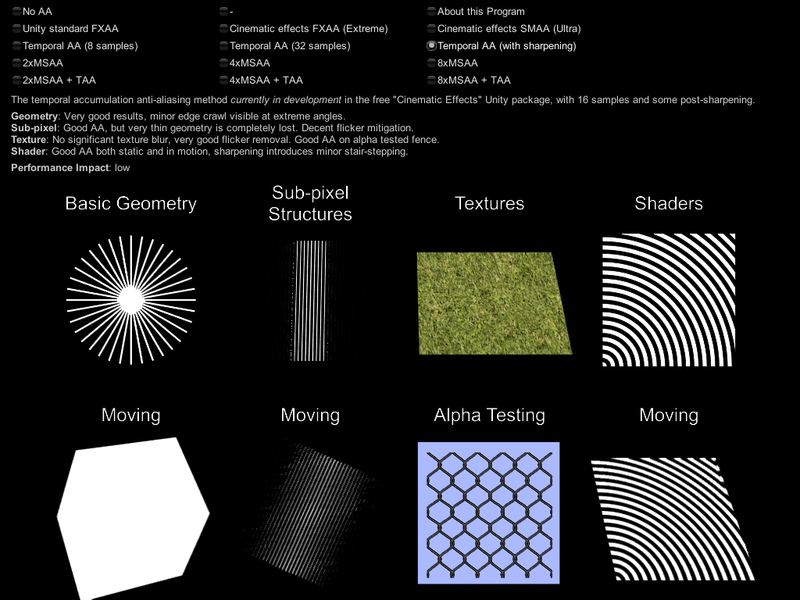 I performed this comparison based on the game Radial-G. Why? For one, it’s a cockpit game, so quite the typical seated experience. Secondly, it natively supports both the SteamVR and Oculus APIs. 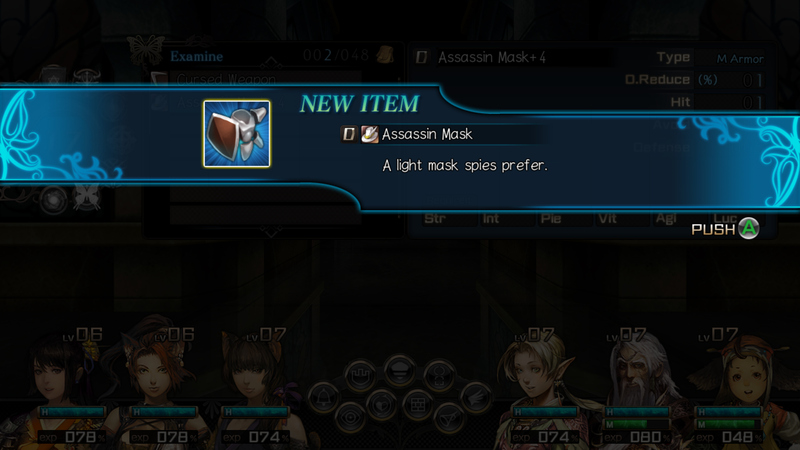 And thirdly, I already own it and enjoyed it a lot on DK2. No two ways about it, the Rift CV1 is both easier to put on and take off as well as lighter on your head. I slightly prefer the actual face interface (heh) of the Vive – the material is a bit softer and more rounded, but it doesn’t make up for the other ergonomic advantages of the Rift. There is one use case however in which the ergonomic advantage of the Rift doesn’t hold: glasses. At least with my head shape and glasses size, the Vive (with its cut-outs) is basically just as comfortable to use with glasses as without them, while the Rift is far more of a struggle. 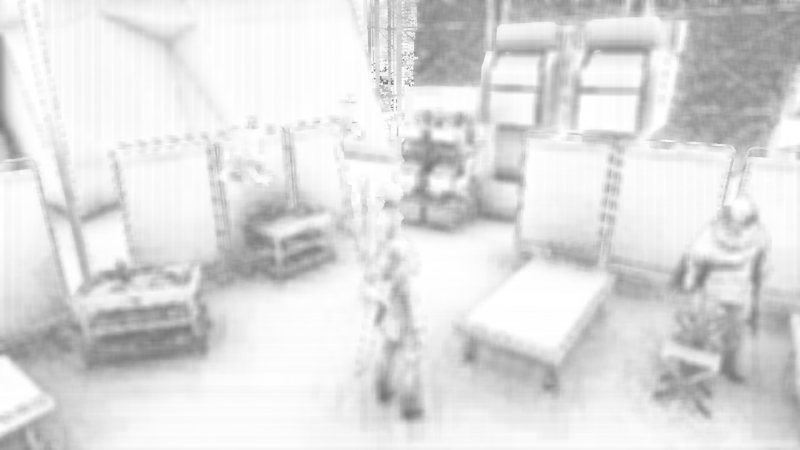 As you can see, the difference is there in almost every direction, but only really noticeable at the bottom of the FoV. I found this additional viewing area towards to bottom worked to stave off motion sickness in this fast moving game, since you see more of your craft, but you can probably simply move back a bit to get a similar effect. All in all, I don’t believe the difference is as striking as a purely numerical comparison would indicate. Both of the HMDs tracked perfectly throughout all my testing in this game. Obviously a cockpit game is hardly a challenging tracking test, but I do have my lighthouses set up for room-scale and not seated stuff so I thought I’d remark on it anyway. In terms of image quality, the only noticeable difference for me was that the contrast ratio on the Vive seemed higher. At first I thought that its black level was better, but someone pointed out to me that it could just as well be due to higher maximum brightness with the same black level. Since our eyes are relative measurement devices, the only way to be sure is to use some more specialized equipment. Logically I know that the same amount of pixels must be spread over a slightly larger relative area on the Vive, but I’d be lying if I said I noticed that in this game, even in a direct (well, a few minutes delayed) comparison. As you can see, the Rift generates a straight, smooth blur from the center to the edge, while the Vive spreads the same amount of “light leakage” (or even slightly more) across concentric rings. Now, just looking at the image comparison above in isolation, there’s a discussion to be had about which one is preferable. 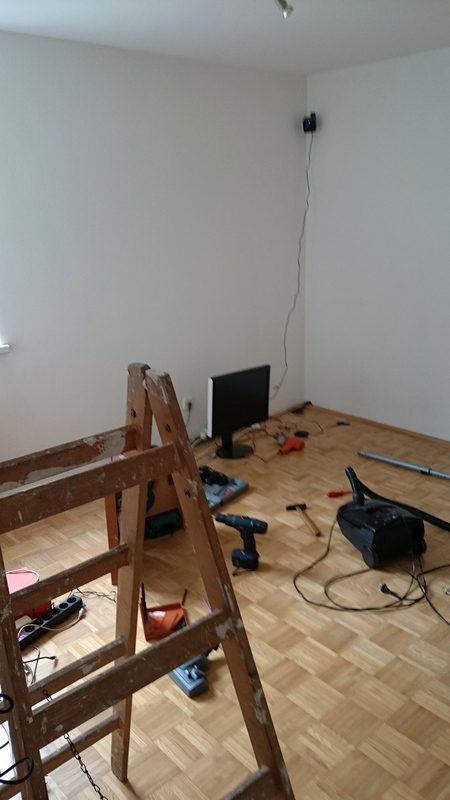 Clearly, on the Vive, a larger amount of space is affected, but on the other hand this space is less severely affected. Personally, I’m not entirely sure which one I prefer. Be that as it may, what I found is that this isolated comparison is both irrelevant and misleading. 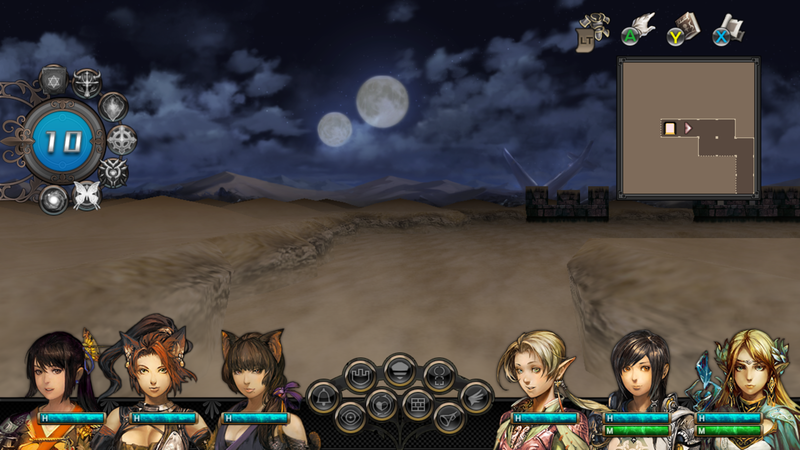 In a real game scenario, you very rarely have a flat black background and a single bright spot source. There will usually be at least something going on in the background, and more than one bright spot around. And this changes the visual impression drastically. Here’s the exact same image, but with some level of background noise added to simulate that we rarely have nothing going on in VR except for one dot on a flat background. I repeat, that’s the same strength of the respective artifacts as above. 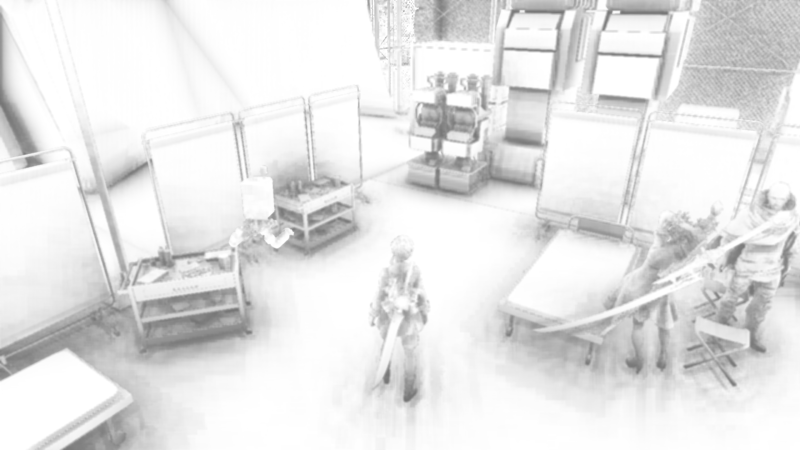 With some background in place, the more dispersed artifact on the Vive becomes almost completely unnoticeable, while the more focused glow on CV1 is still readily apparent. This image comparison might look extreme or artificial, but it really does reflect exactly what I observed in the game. Given that, I find the type of artifacts produced by the Vive highly preferable in the general case. 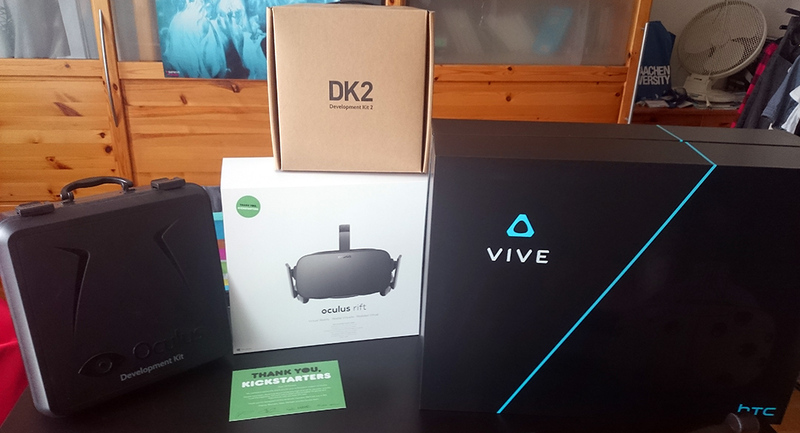 My HTC Vive arrived today, and after roughly 10 hours in VR I’m really impressed and quite tired. But I promised that I’d provide some mounting bracket measurements since I was annoyed a few days back that I couldn’t find anything reliable about that online. Mounting holes are symmetric and centered exactly 1 cm from the ends (6.4 cm center <-> center distance). Their diameter is 5 mm. 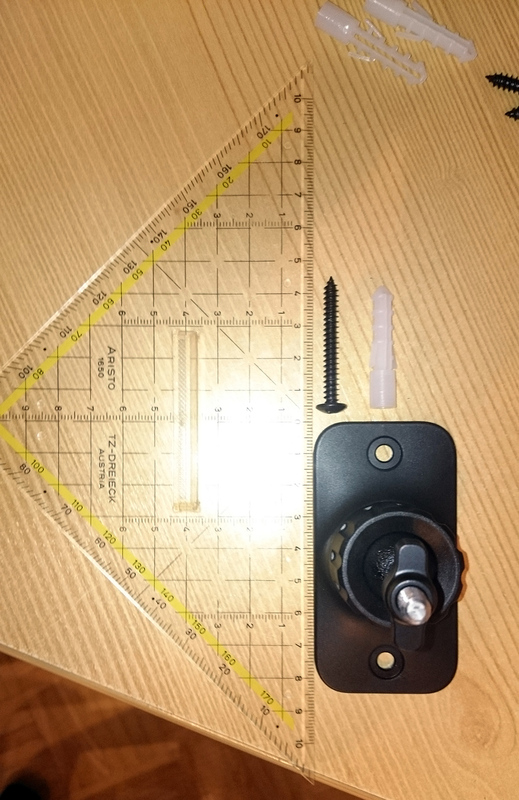 The length of the included screws is exactly 4 cm (after the cap). Overall, and this might be hard to believe, room scale VR with tracked controllers is just about as magical as you heard. I really did grin like mad simply by creating and popping a few balloons in the tutorial. And it obviously gets better from there. The Lab:surprisingly polished and diverse, both graphically and in the types of gameplay demonstrated. My favourites were the archery game and Xortex (the bullet hell shooter). The interactivity in the lab itself was also amazing. Oh, and the trademark Valve humor is there in robot repair and the calibration testing. I love the robot dog. Space Pirate Trainer: it’s a very simple foundation, but despite the straightforward mechanics it actually seems to have a very significant stratification in terms of skill. I think it’s a game where, even at this early state, you can spend a lot of time playing and notice a continuing increase in your skill and accomplishments, which is always rewarding. Better anti-aliasing would be nice, it seemed a lot worse than all the other games I played today in that regard. 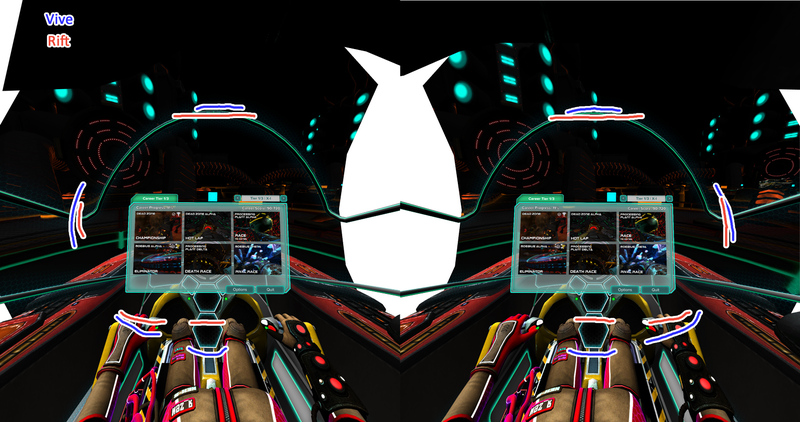 Water Bears VR: I got this for free in some promotion, and after the real physical exhaustion and sensory overload of Space Pirate Trainer (and Xortex in The Lab before it) we wanted to try something a bit more laid back. It’s a fun puzzle game with surprisingly good production values and very intuitive controls. It’s also really “complete”, unlike some of the other games which do feel like the early access titles that they are. And the “Water Bears” (which you can interact with after completing each level) are extremely cute, so this is a game to show off to anyone enthralled by that. Cloudlands VR Minigolf: it’s minigolf, in VR. Except the courses are often a lot more inventive than what you’d find in reality. The controls work very well after a small adjusting period, but the game is surprisingly challenging in how it sets the par for each hole. Room scale helps a lot here in being able to actually walk around the ball or get down on the ground and check the intended trajectory of a shot. Audioshield: perhaps the game I was most hyped for, having played Audiosurf for over 400 hours. It does not disappoint. The best part was starting off with a random semi-obscure song (Dogfight by M.O.V.E.) and someone had already played it! Anyway, I’ll probably be capable of more coherent thoughts later. Yesterday an article I wrote about UWP/UWAs got published at PC Gamer. I actually asked about writing this 3 weeks or so ago, but with my real job interfering it took a while to get done. In the meantime, the topic blew up with Tim Sweeney weighing in, which isn’t something I expected. I go into details on the current state of things, my concerns about future developments, and 2 questions I’d like Microsoft to answer in that article. One thing I don’t discuss, mostly because it requires technical background to understand which would take a long time to explain from the bottom up is the technical details of application signing. I also won’t do that here – on my blog I can afford not to – but I will provide my more philosophical thoughts on the matter. Signing, in general, is a good thing. At the very least, it makes man-in-the-middle attacks far more dangerous to execute. On truly open platforms like Linux it is even a great thing, with all the control still resting with the user and no one interested in making some particular commercial signatures “more trusted” or “better” than the rest. On a commercial proprietary platform, it is a double-edged sword. Yes, ideally, it provides all the same advantages it does on the open platform with no additional drawbacks. However, when ultimately controlled by a commercial interest its potential for either subtle or obvious abuse is extremely high. From simply showing a small warning pop-up if some software is not corporate-approved all the way to restricting some functionality only to a subset of signatures. Compared to that, the somewhat more dangerous wild-west environment of Win32 does not offer the same capabilities – even to its creator. Anyway, many people have told me that they appreciate the article, either for the information contained in it about current UWA limitations, or for the message it sends, or both. There are also those who think I am overreacting or painting too grim a picture. And in this particular case, I’d be ecstatic if they were right and I am wrong: if in 10 years I can still as easily mod a game as I can do with a Win32 executable today then I’ll join them in laughing about just how silly I was. Happily.